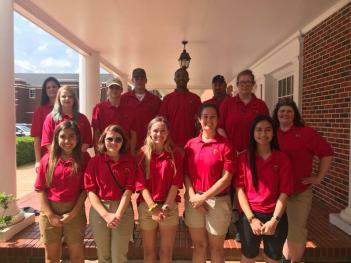 Each year, Deep East Texas Electric Cooperative joins eight other east Texas cooperatives in sponsoring the East Texas Rural Electric Youth Seminar (ETREYS). DETEC offers an all-expenses-paid trip for 9 students who are attending a high school in the DETEC service area to ETREYS. This year the event will be held from June 24 - June 28, 2019 at East Texas Baptist University in Marshall, Texas. While at ETREYS students participate in workshops, seminars and peer group activities that range from leadership development to pure entertainment. Speakers from all walks of life including nationally-known personalities, athletes and professional leaders take part in the daily sessions. Additionally, each student has a chance to compete for thousands in college scholarship funds. Established in 1988, the mission of ETREYS is to foster positive ideas and values among young people and to enhance skills in leadership, problem-solving and interpersonal relationships. Participating cooperatives include: Bowie-Cass, Cherokee County, Deep East, Houston County, Jasper-Newton, Panola-Harrison, Rusk County, Upshur Rural and Wood County. Participants must be either a sophomore or junior and are selected on the basis of overall excellence and involvement in extracurricular activities including leadership positions, academic awards, etc.